The European Public Affairs Consultancies’ Association welcomes the Commission’s proposal for an inter-institutional agreement on a mandatory Transparency Register. EPACA urges the three institutions to engage in constructive negotiations with the objective to create a robust and inclusive register that strengthens the transparency in EU’s decision-making. It is reassuring to see that the Commission continues its efforts to strengthen the Transparency Register. We are especially encouraged by the inclusion of the Council, and that the proposal suggests that only registered entities can interact with key members or officials from the three institutions. It is a step in the right direction even if EPACA would have preferred a proposal where all interactions with these institutions would be conditional upon registration. Furthermore, it is positive that the proposal hints at more resources available to the Secretariat in order to ensure a better quality of information, another point EPACA has been making for a long time, says Karl Isaksson, Chairman of EPACA. 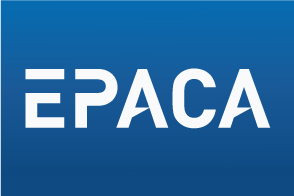 EPACA – The European Public Affairs Consultancies’ Association – is the representative trade body for public affairs consultancies working with EU institutions. It was launched in January 2005, following a process of consultation among all signatories of a professional Code of Conduct. The Code had been maintained and updated since by our members, and is the basis for all such codes in the EU affairs marketplace.